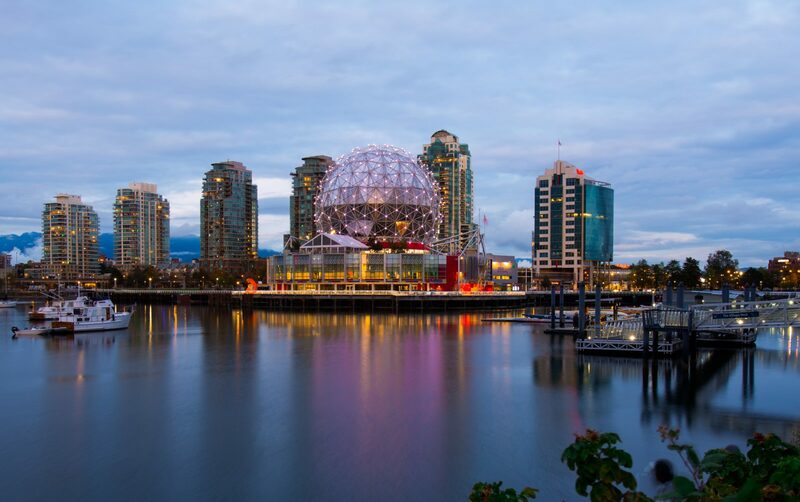 By now Vancouver, the bustling city in beautiful British Columbia, has become so much more to us than simply a place to visit on a holiday. Instead, arriving to the city feels more like coming back home. During our recent month-long adventure with KLM Finland we had 11 days to spend in Vancouver, but as usual, it wasn’t nearly enough. It was our third time visiting, and the third time we felt absolutely heartbroken to leave. I kid you not: there were tears on the day of our flight departure and even the night before. You can just imagine the feeling of heartbreak when taking the last glance at the city from above, before disappearing into the clouds. Vancouver skyline just after sunset. But what makes Vancouver so great? We’ve been discussing our love for the city for so many times we can’t even keep count anymore, but we still don’t have a definitive answer. 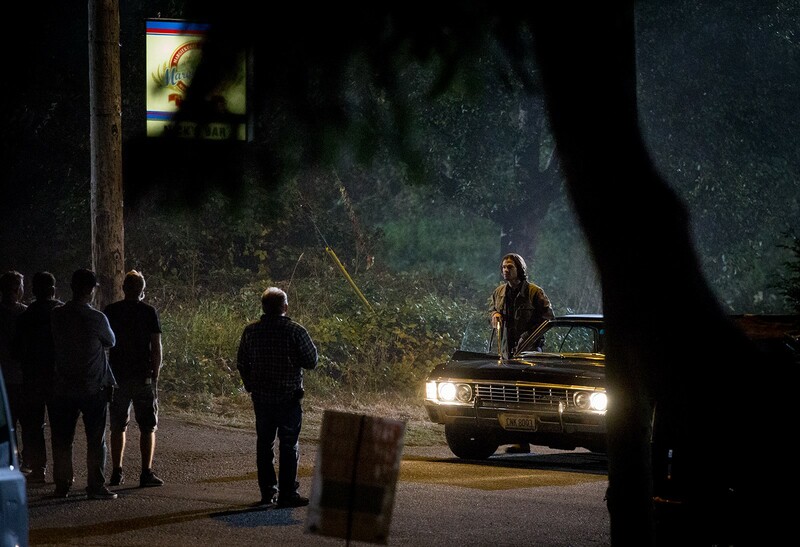 We think it’s a combination of many things: for us, one of the obvious reasons is of course the fact that several of our favorite shows have been / are being filmed on the streets of Vancouver or in the forests, mountains and neighbourhoods surrounding it. But it’s not all about the film industry. It’s also the people you meet, it’s the endless pretty parks and unique neighbourhoods; it’s the sea, the mountains, the beaches, the hills and the hidden little nooks with cafes, restaurants and stunning artwork. 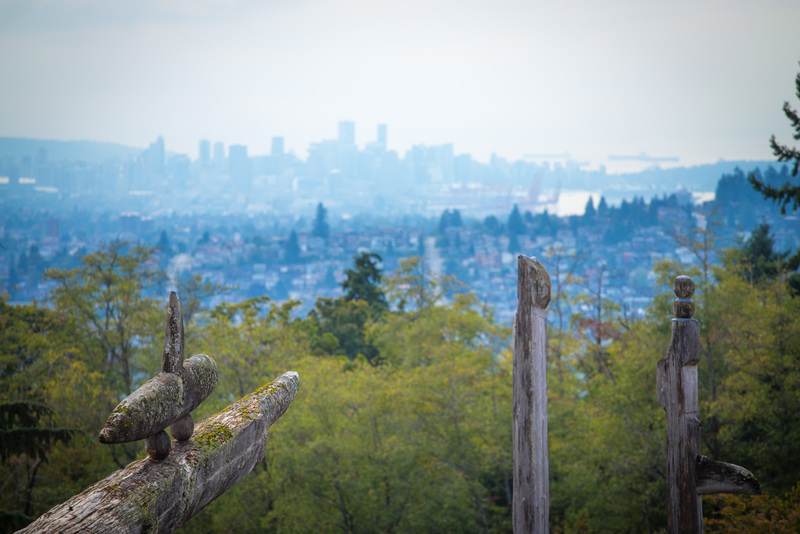 Vancouver as seen from Kamui Mintara on Burnaby Mountain, BC. It’s the fact that no two square miles look alike. You can spend a day walking under blossoming cherry trees, climb a mountain the next, adventure in a northern rainforest, take a speedboat trip to spot some whales and seals, shop till you drop in the downtown area and relax on a sandy beach with stunning views and the iconic driftwood logs. 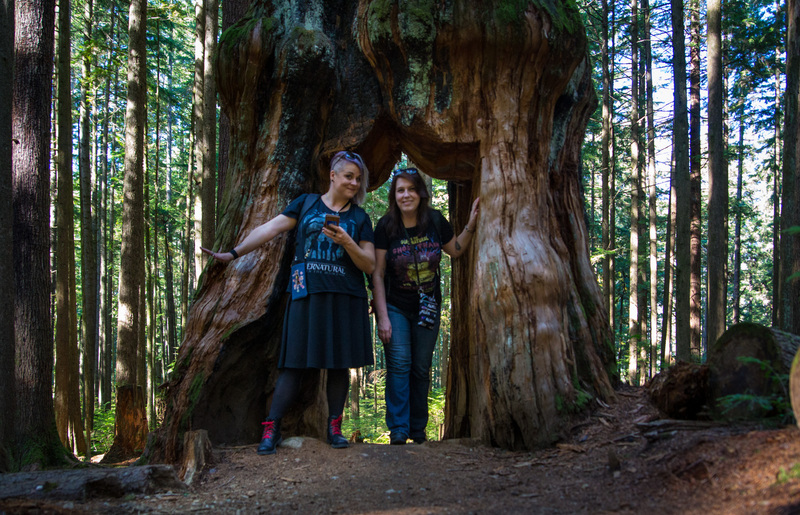 This collection of photo memories can’t begin to cover all the things we’ve discovered and loved about Vancouver, but it’s a good start… and we hope to go back for some more (again, again and again). 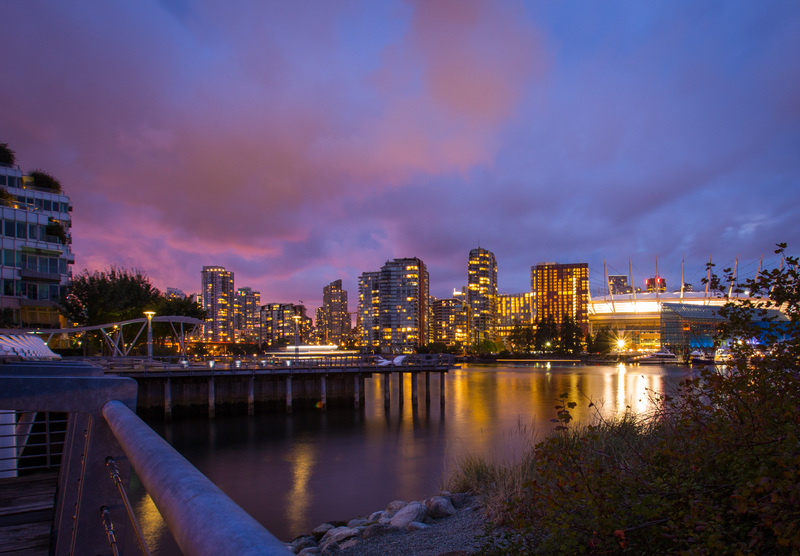 British Columbia is known for its lush rainforests which provide a verdant backdrop to many of the most beautiful sights in and outside the city of Vancouver. Basically, no matter which way you look, you’ll probably end up looking at a scenery looking like a postcard. A very typical British Columbia view. 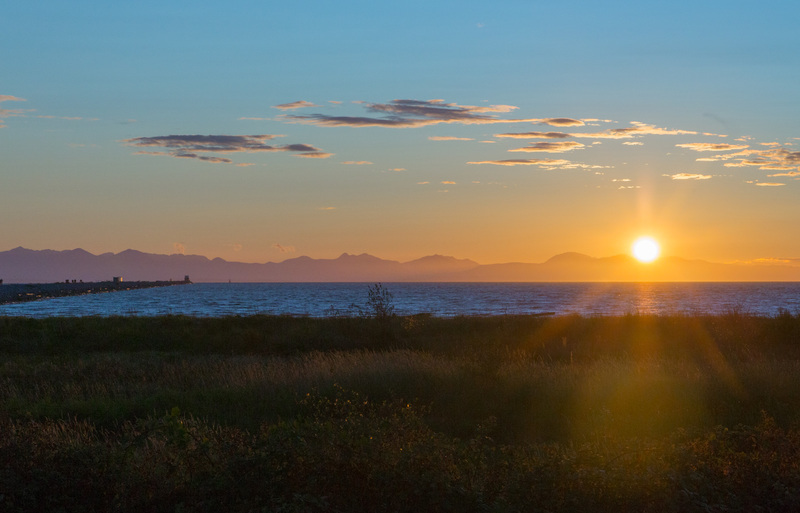 There are a lot of good spots for enjoying the stunning British Columbian sunsets… and if the weather is right, they can be some of the most beautiful ones you’ve ever seen. We drove up to Iona Beach on our last night in Vancouver, but didn’t have time to walk the incredible 4km long jetty that stretches out into the water. Probably wouldn’t have had the energy either, as at this point, we were walking on pretty sore feet already! But the sunset was perfect. Stunning sunset in Vancouver, BC. It all started with Supernatural. Our long-running favorite TV show was the first thing that drew our attention to Vancouver once we learned that’s where it’s actually filmed (not all around USA as they claim in the series). After that, we quickly became aware of the long list of TV shows and movies that are filmed in and around Vancouver every year. Seriously, it’s no wonder they call it Hollywood North. As film enthusiasts, one of our favorite activity in Vancouver is to spot the bright colored signs they set up on the roadsides to direct the crew to the filming set. 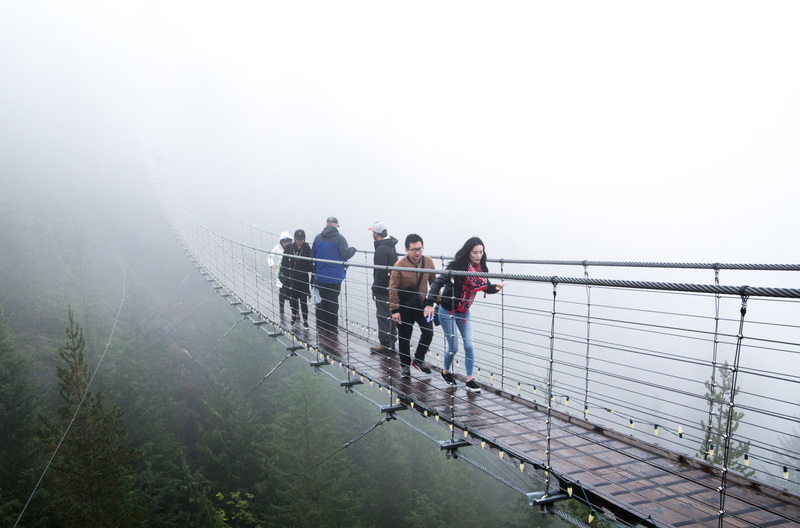 Yes… We’re going to list the thick fog as one of the things we love about BC. Simply because, when the light is right, it makes for some super stunning photos. 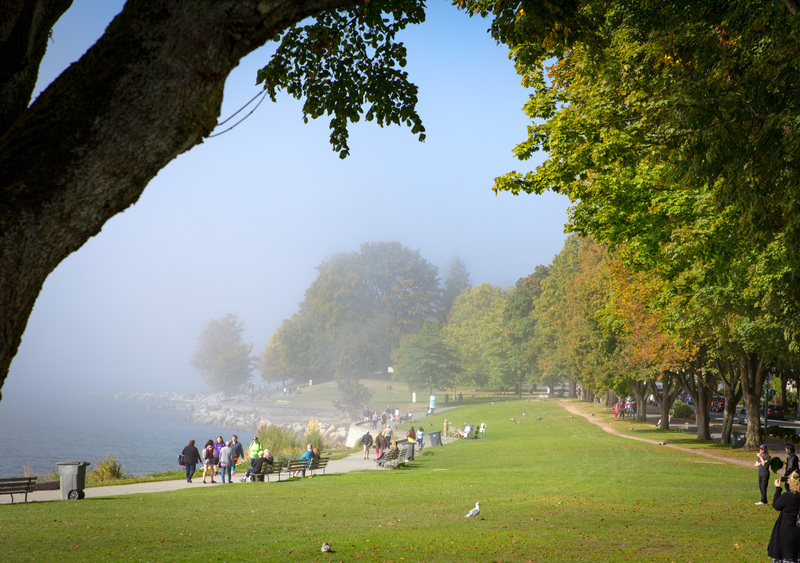 Pictured here is a foggy afternoon in Sunset Beach Park that we witnessed while taking a little ride on the Hop-on Hop-off bus around the city. Foggy Sunset Beach Park, Vancouver. 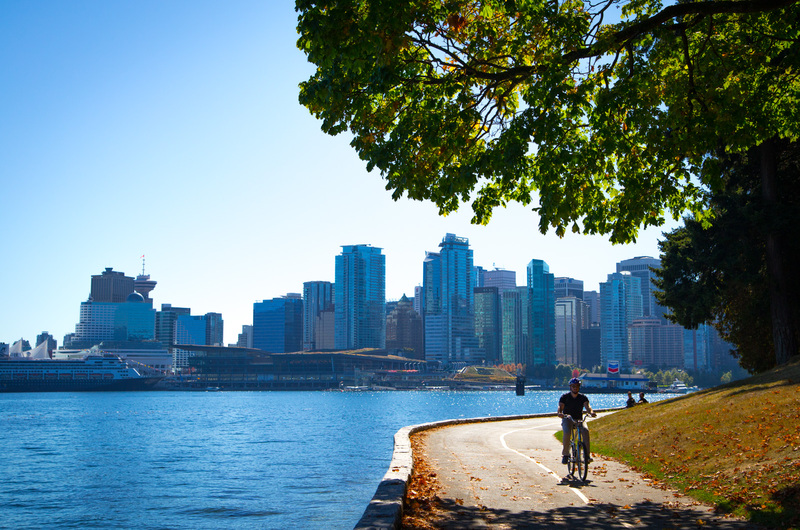 Apart from all the other fantastic things, Vancouver has the world’s longest uninterrupted waterfront path. 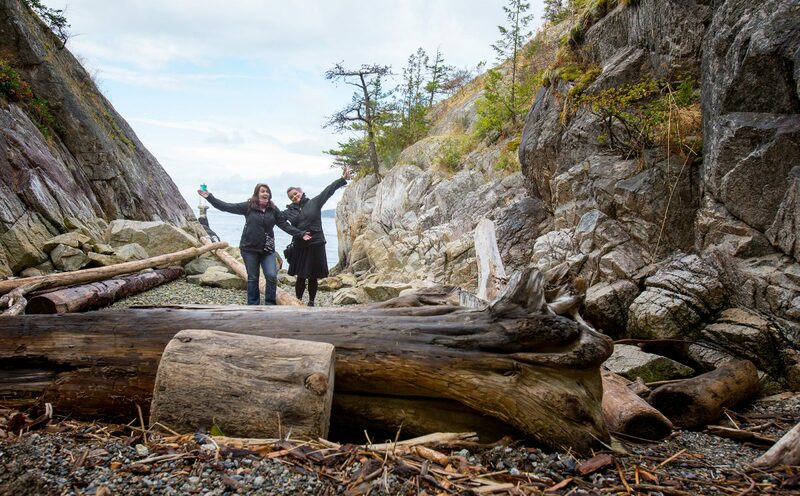 The beautiful, uninterrupted 28 km pathway extends from the Vancouver Convention Centre to Spanish Banks Park. The Seaside Greenway is a super popular route among both locals and tourists, but never too crowded, as there is indeed a lot of space for everyone. We managed to witness the beautiful lights on the waterfront while hunting down a couple of superhero filming locations near Science World. Science World British Columbia after sunset. You can’t really visit Vancouver without noticing the First Nations art. The intricate symbolic designs can be spotted in pretty much everything; there are sculptures, artwork, jewelry, postcards for sale as well as beautiful storypoles you can go and see up close and personal. 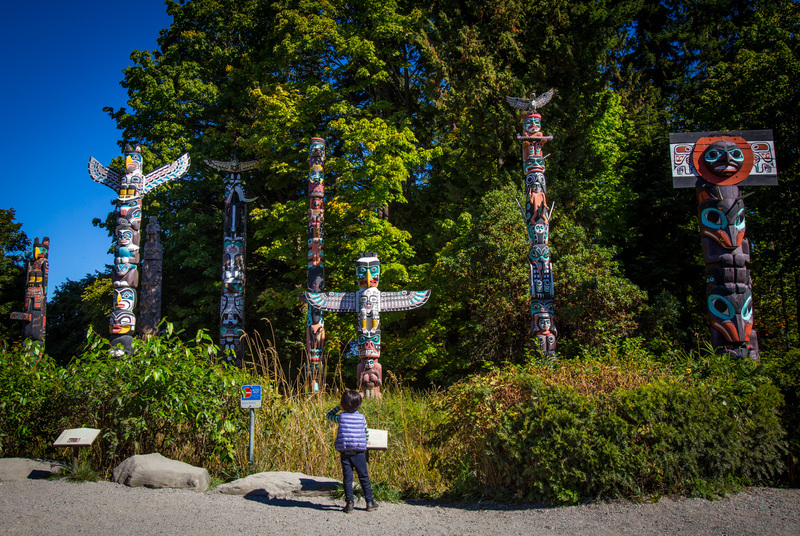 You can visit the UBC Museum of Anthropology for more insight and maybe even bring home some souvenirs featuring the killer whale, the raven, the trickster or some other important character to the First Nations culture. Sort of like Central Park in New York, Stanley Park is an important getaway for the locals as well as a popular spot for the tourists to spend a sunny day or two. 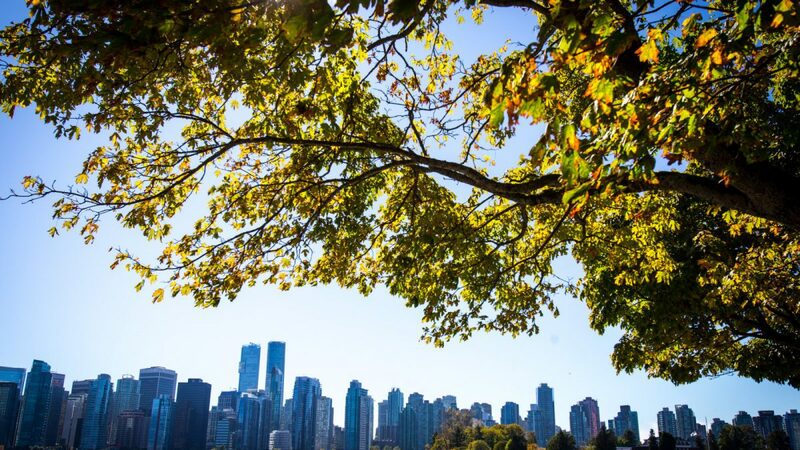 There’s plenty of lovely things to do in Stanley Park, but it also offers a beautiful view of the Vancouver skyline. 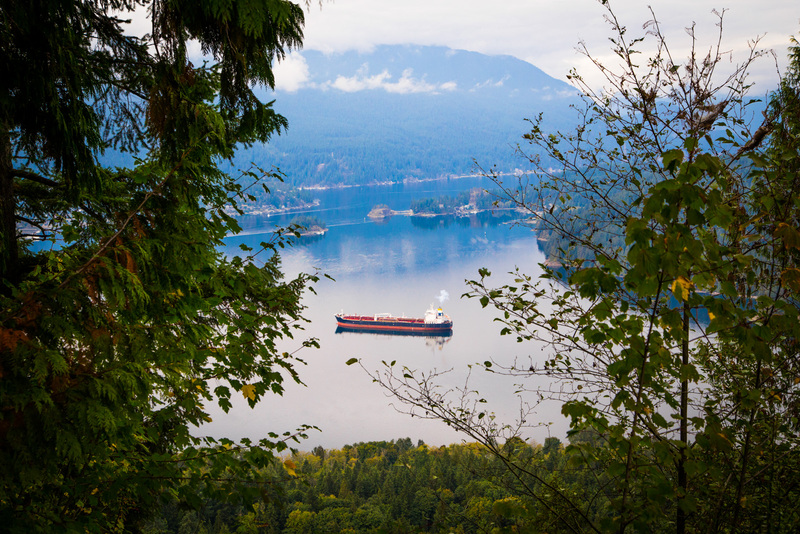 Stanley Park, the perfect spot for a bit of fresh air. 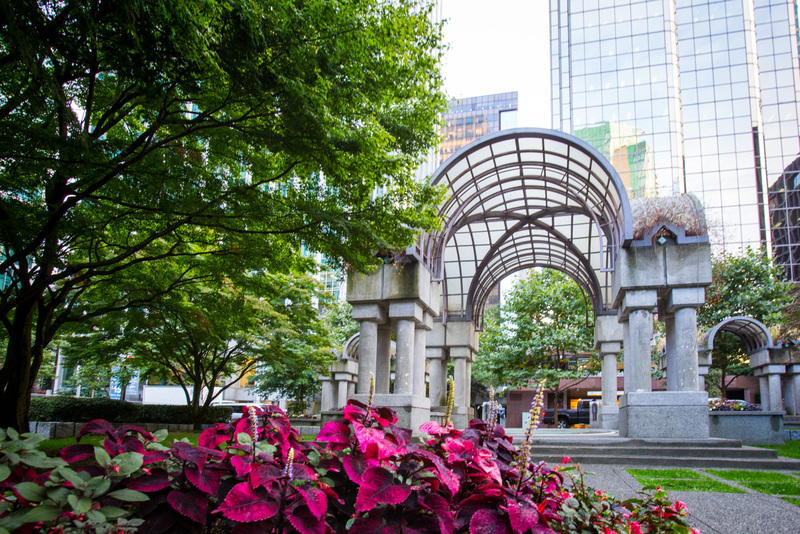 Although Vancouver is quite a busy city with tall, modern buildings towering over the bustling streets, you can’t really walk very far without spotting a lovely spot of green. These decorative little parks offer a nice spot for lunch for the locals and a good sitting down spot for us visitors exploring the city. Hidden parks within the city. 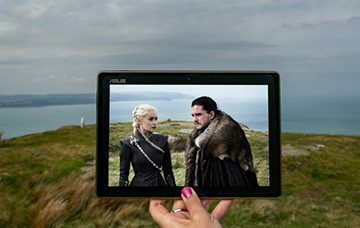 We’re not actually very enthusiastic hikers, we just sometimes happen to go through a lot of trouble while trying to locate the filming locations of certain shows. Our two hour hike in a forest where they film the scifi show The 100 turned into a hot, exciting adventure through the lush forests nestled between the steep mountains… and even though we couldn’t find the filming crew anywhere out there, we did totally recognize the tall ol’ trees so familiar to us from the show’s post-apocalyptic world. You don’t have to be a mountain climber to get closer to the skies of BC. You can visit the mountaintops by stepping into the Sea-to-Sky Gondola or taking the Skyride on top of Grouse Mountain. Or, if you’re into downhill skiing or ziplines, there’s a lot for you to do up in Whistler. So apart from offering a stunning backdrop to all your travel photographs, you can actually visit many of the mountains you see in all the photos from British Columbia. Sky Pilot suspension bridge in the fog. 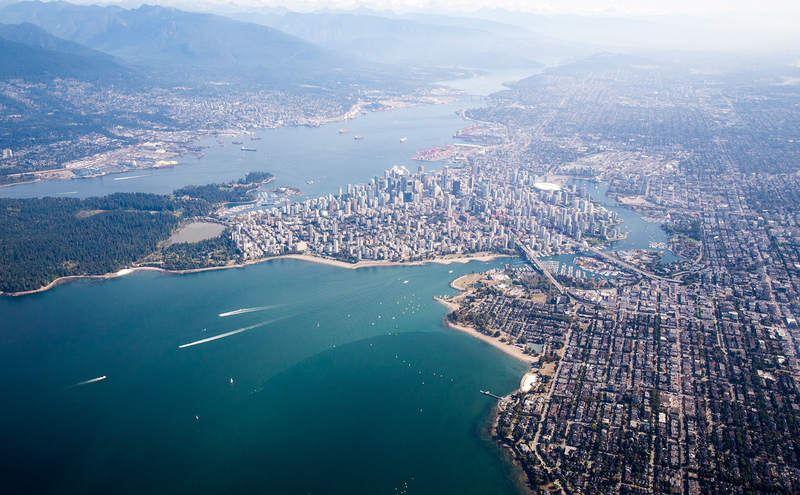 If you’re planning to visit Vancouver, we recommend renting a car. We got ours from Hertz at the airport and took it up the stunning, winding Sea-to-Sky Highway for a little scenery ride. It’s one of the most beautiful roads to drive and there’s plenty of places to see along the way. The Indigenous peoples of the Pacific Northwest Coast are the original inhabitants of what is now known as Vancouver. With the city’s location near the mouth of the Fraser River and all the waterways surrounding it, it’s been a place for meeting and trade for thousands of years. There is archeological evidence of seasonal encampment dating back 8,000 to 10,000 years. The first Europeans to explore the area, however, didn’t come around until the late 1700’s. 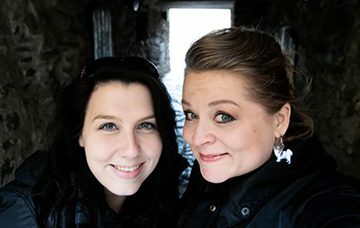 There are a lot of tales to be heard on the history of British Columbia in the museums or, like we did, at the Fort Langley National Historic Site. 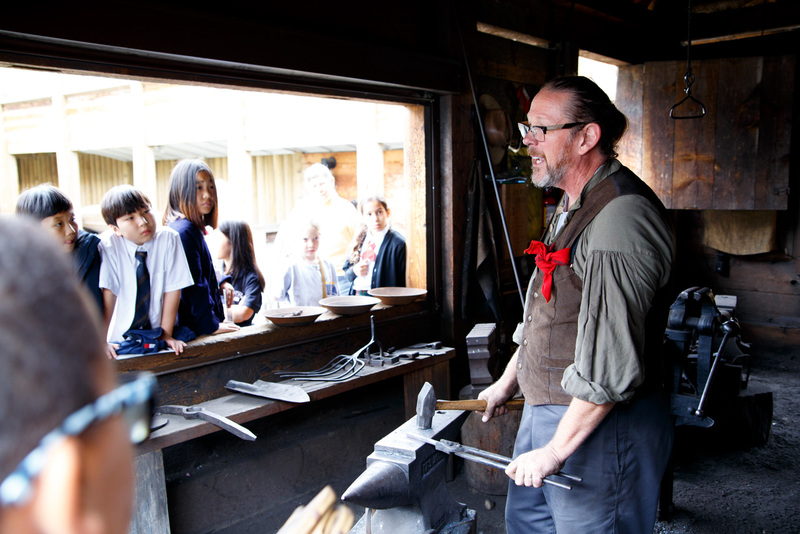 A blacksmith educating local kids about Fort Langley history. Polite customer service, lovely locals to share a moment of small talk with, super nice fellow fans on TV sets… We’ve experienced the Canadian friendliness and we’ve liked it a lot! 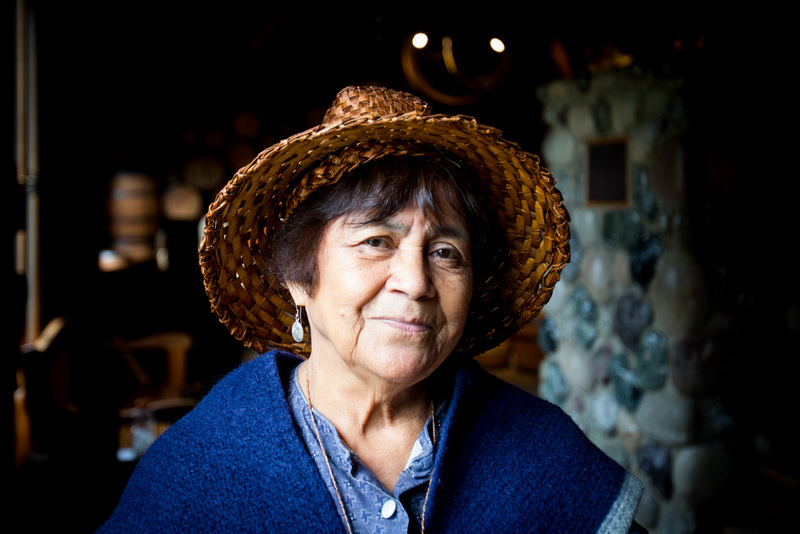 Below is a portrait of a native woman working at the Fort Langley National Historic Site, who gave Satu a lesson on oldey-timey bucket making and shared a few stories of her family history. A memorable encounter and such a photogenic face to photograph. A native woman working at Fort Langley National Historic Site. 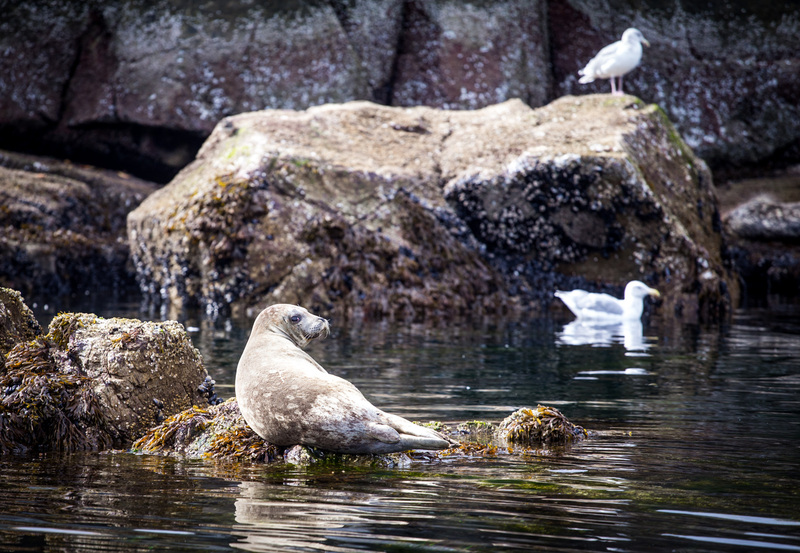 During our latest stay, we did wildlife cruises on fast boats, admired the views on FlyOver Canada, went up and down on the exhilarating Sea-to-Sky Gondola and even got a helicopter ride with Helijet to Victoria, the capital city of British Columbia, located on Vancouver Island. We visited dozens of filming locations in preparation of our upcoming filming location guide to Vancouver, met some fantastic people, stayed in lovely hotels and enjoyed our time immensely… as usual. 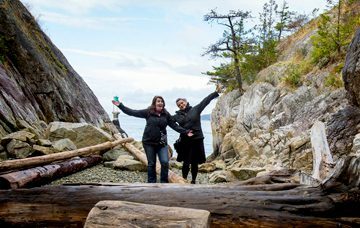 Going into all the activities that British Columbia has to offer would probably take writing a full book, but you’ll be off to a good start by visiting the Tourism Vancouver website. Flying with Helijet: one of the best experiences ever! In short: we simply can not get enough of beautiful British Columbia. After our first trip, we figured we’d go back at least one more time… and after the third, we’re guessing we’ll actually end up living there at some point — at least for a while. A love relationship with a city? You betcha. 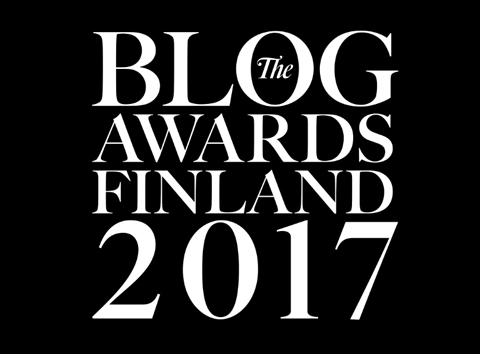 assuming you are willing to consider guest post submission. 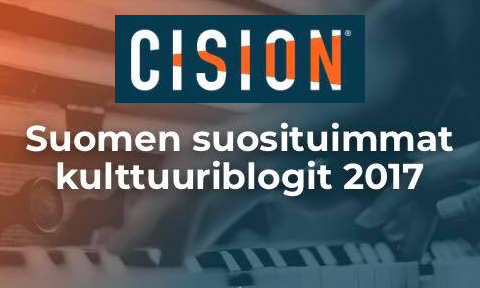 I believe I can attract an audience on your blog and I know the value of unique and fresh content. 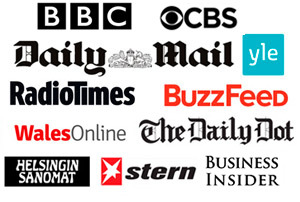 Amazing information you have shared with us specially photograph that you have used in blog. good job keep doing it.